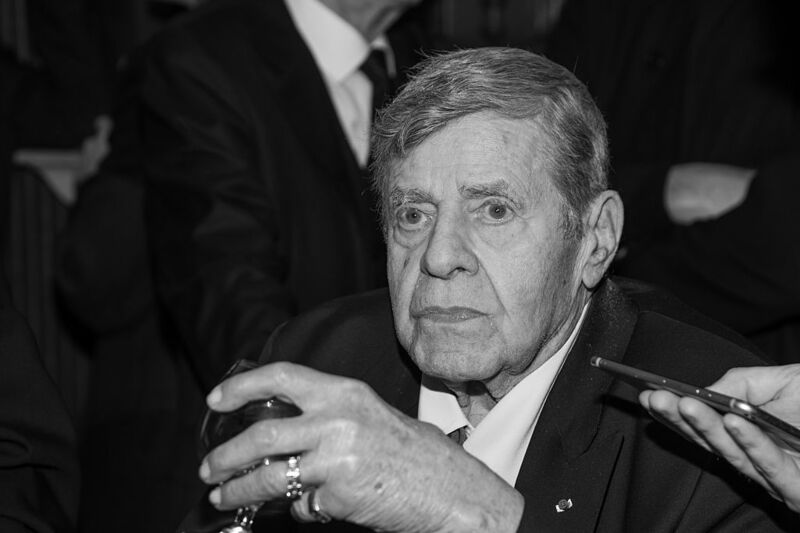 On Sunday morning, Jerry Lewis’ publicist confirmed that the comedian had died at age 91. Although his cause of death has so far not been released, over the years Lewis has had health issues, such as open heart surgery in 1983, a prostate cancer scare in 1992, a heart attack in 2006, and treatment for prescription drug use over the years. Lewis climbed to fame as a comedian, first working with Dean Martin before going off on his solo career, eventually writing, producing, and directing many of his own films. You might remember him from movies such as The Bellboy, The Nutty Professor, and The Patsy. In terms of movie making, he was also one of the first to use closed-circuit monitors and videotape. Any fan of filmmaking or comedy has Jerry Lewis to thank for where we are today. Lewis wasn’t always perfect. In the past few decades, he’s been criticized for his often very not-politically-correct views. Indeed, Lewis said once that he saw women as “baby-producing machines.” And in 2001, he said on the CBS Morning Show, “You don’t want to be pitied because you’re a cripple in a wheelchair? Stay in your house!” He eventually apologized for all of his offensive comments, but might have lost some fans along the way. On Twitter, celebs remembered the icon. Rest In Peace, Jerry Lewis. "Jerry was a pioneer in comedy and film. And he was a friend. I was fortunate to have seem him a few times over the past couple of years. Even at 91, he didn't miss a beat… Or a punchline. You'll be missed." Lewis was a Hollywood icon, known for his comedy, his film presence, and for stirring things up. He will definitely be missed by everyone who knew him, and by all of the fans queuing up the original Nutty Professor this week. Hey, Netflix: can we get a tribute?